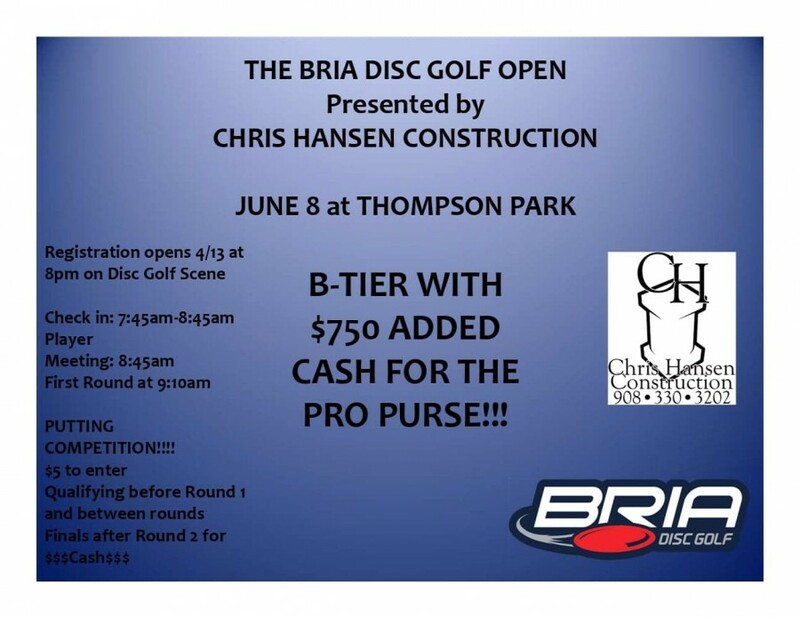 2 round B-Tier at Thompson Park sponsored by Chris Hansen Construction. 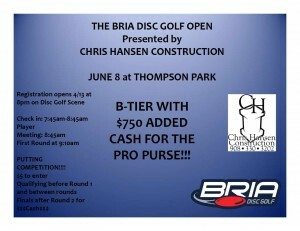 $750.00 added cash for pros! Players pack and voucher payout for all AMs.